SCBWI-Hawaii Annual Conference: Do You Want to Write Children's Books? Rather than concentrate on one aspect of craft, Matt de la Peña will share his techniques for creating plot, mood, character, humor, description, angst, and more. You will have a chance to try out his techniques and by the end of the day you will have the seeds from which to grow your next novel. Don't miss your chance to learn from an award-winning author! Hear what's trending in the world of children's books, polish your writing and/or illustration skills, meet other writers and illustrators, and take advantage of the option of having your work critiqued by a professional. In addition, Matt de la Peña will lead an optional, limited-attendance workshop to be held the day before the conference. Both days will be chock full of insider information that is sure to inspire both beginners and experienced writers and illustrators—and just might put you on the road to your first or next publication. Attend one or both days! 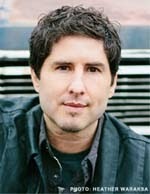 Matt de la Peña is the author of five critically-acclaimed young adult novels: Ball Don’t Lie, Mexican WhiteBoy, We Were Here, I Will Save You, and the Pura Belpre Honor Award-winning novel, The Living. He’s also the author of the award-winning picture book A Nation’s Hope: The Story of Boxing Legend Joe Louis (illustrated by Kadir Nelson), and a middle grade novel, Curse of the Ancients. He teaches creative writing at NYU and Vermont College and visits high schools and colleges throughout the country. 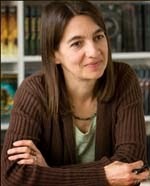 Marietta Zacker is an agent with the Nancy Gallt Literary Agency. Marietta has experienced children’s books from every angle–teaching, marketing, publishing & bookselling. She thrives on working with authors who make readers feel their character’s emotions & illustrators who add a different dimension to the story. She is also Book Curator at an independent toy store & bookstore. SCBWI (Society of Children's Book Writers and Illustrators) is the only professional organization dedicated to serving the people who write, illustrate, or share a vital interest in children's literature. With more than 22,000 members worldwide, SCBWI is the largest children's writing organization in the world. SCBWI Hawaii sponsors an annual conference that brings together top professionals in the children's publishing world to share their knowledge and expertise. It's an excellent networking opportunity for those already established in the industry, and for those just starting to enter the world of children's book writing and illustrating.